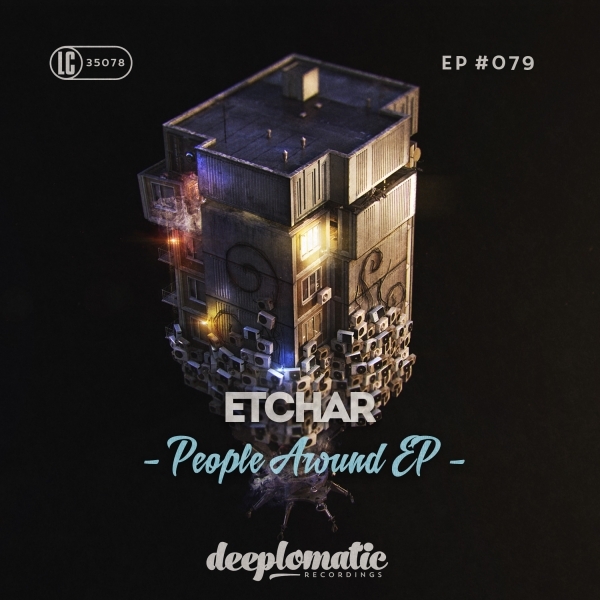 Deeplomatic Recordings EP079 “People Around EP” from Etchar; the Jordanian artist has forged his own path with his sound that effortlessly moves from groove laced tech house to deep melodic sounds. His tracks have been noticed far and wide in the underground scene, supported and played by the likes of Oliver Huntermann, Hernan Cattaneo, Joris Voorn, Nicole Moudaber and many others. Starting off as a DJ in his native Amman, he soon graduated to production with his first release on Motek Music in October 2015. Since then Etchar has moved from strength to strength with his 2016 collaboration on Einmusika Recordings reaching the lofty heights of the Beatport Minimal top #1 Deep House top 10 as well as releases on Sol Selectas, Suruba Records and Tulipa Recordings amongst others.